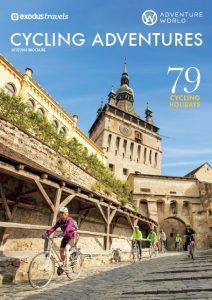 Adventure World advises agents that Exodus has released its 2017/18 Cycling Adventures brochure, showcasing an array of new small group journeys and introducing electronic bike upgrades on selected European trips. Exodus has just reported its best ever year of cycling sales, which is now the fastest growing area of the business. Global cycling trip sales are up 22% year-on-year for the company. Electric bikes will be offered as an upgrade on 25 of Exodus’ European trips next year, including the majority of its self-guided range as well as several small group journeys. E-bikes offer all the thrills and healthy exercise of a regular bike, but a small electric motor provides extra power when needed, perfect for travelling with friends of differing fitness levels or attempting a trip slightly above your ability. Exodus has also introduced 15 new cycling tours around Europe and Asia, including the 15-day Italy Coast to Coast Ride from Puglia to Sorrento. A moderate to challenging journey through the country’s less-travelled regions and routes, the tour takes in UNESCO World Heritage sites, Greek and Roman ruins, wildflower-carpeted olive groves and stunning mountain scenery with daily cycle distances between 60 and 100km. Cycle through the remote Finnish wilderness on fat bikes – mountain bikes with four-inch wide tires to take you through snow with ease – on Exodus’ brand new Fat Biking in Finland adventure. Travel through forests, journey across frozen lakes along the Russian border, see the Northern Lights and spend two nights in a remote wilderness cabin with a wood fired sauna between February and March 2017. Whether your client is a club cyclist with a need for speed or a more casual rider who prefers to slow down and soak up the surroundings, Exodus’ rides can amble or race through some of the world’s most exciting locations. The Exodus Cycling Adventures brochure is now available for agent orders online at Brochure Flow.